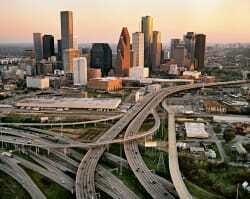 A recent investigation done by the Houston Chronicle found that Houston’s highways are the deadliest in the nation. According to the Chronicle, car crashes in Houston cause a large number of deaths, roughly 640, which is the equivalent of three fully loaded 737s. According to the study, one huge reason there are so many highway deaths in Houston is that people in the area drive a lot because the city is so spread out. Drivers spend an average of 30 minutes commuting to and from work every day. In addition, the highways in Houston are designed for high speeds by which to move commuters around more quickly, which contributes to the death toll. The newspaper pointed out that it is very easy to ignore the consequences of the traffic accidents because the deaths occur gradually, instead of all at one time. However, the deaths do add up. When a person is injured or killed in a Houston traffic accident, the individual or his or her loved ones have legal rights. If the accident was caused by another party, the injured individual can seek compensation from the other driver, his or her employer, or from an insurance company. The accident victim is entitled to compensation for medical expenses, lost wages, pain and suffering, and more. If you have been injured in a Houston traffic accident due to the negligence of another driver, or if a loved one has been killed because of another driver, call the Houston personal injury attorneys at Kennedy Hodges at 855-947-0707. Our attorneys can help. Call us today to schedule your free consultation, or visit us on YouTube to learn more about the firm.